When people think of floods, they imagine overbank or flash flooding which happens when bodies of water overflow and suddenly encroach on the surrounding areas. The category that people often forget about is overland or surface flooding caused by intense rainfall. 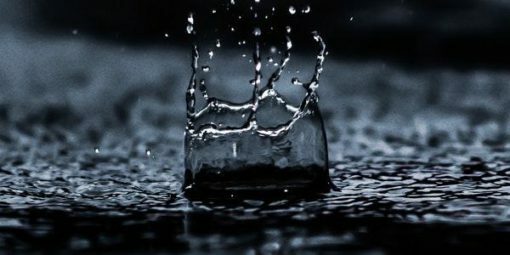 It’s easy to underestimate the disastrous effects of rain since the average storm poses no threat — the only risks to homeowners seem to be wet patio furniture and muddy lawns. But the influence of climate change means that there will be more powerful storms with lots of rainfall. 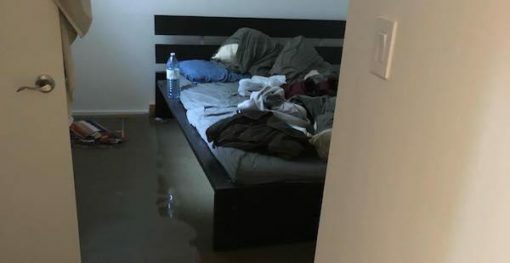 People are at a higher risk of discovering water filling up their basements and ruining their personal belongings. Homeowners that are worried about this happening to them can take certain steps ahead of time to keep the rainfall outside where it belongs. It’s wise to find a company of experienced plumbing contractors to fit your house with flooding precautions like a backwater valve to prevent water from city lines flowing back into your property and a sump pump to stop water from accumulating. You can also get them to do interior and exterior waterproofing to secure the basement from water intrusion. A company that offers all of these preventative services is Morrison Plumbing & Mechanical — they can visit your home and help you determine what strategy is best for you. After taking these measures, you should check to see if you will have coverage if there is water intrusion. Research has shown that the majority of homeowners don’t have flood insurance and often have to rely on government assistance or their own finances to deal with the damages, which can be extensive and very costly. Part of the problem is that overland flood insurance was not an option available at most agencies until recently — many people simply assume that it is included in their plan by default when it’s not. With the rapid increase of flooding in urban areas and the growing extremity in weather patterns, flooding insurance is now replacing coverage from fire damage as the predominant concern for homeowners. If you are unsure whether you will be compensated after an emergency or not, call your company to get a clear answer. If you don’t prepare your basement and water floods inside, it will cost a lot of energy and money to restore the area. The first thing to do when your basement is flooded is to tackle immediate concerns like the risk of electrocution — contacting the hydro company and asking them to shut off your power is crucial if outlets or panels are submerged. After calling professionals to clear the area, you will have to discard ruined furniture, remove contaminated insulation and sanitize the space to prevent mold. When all of these basic responses are done, you can try to replace the valuables that you have lost in the disaster. Don’t get caught by surprise when a storm hits and sends water directly into your house. A solid plumbing company and the right coverage will guarantee that you are prepared for the worst.